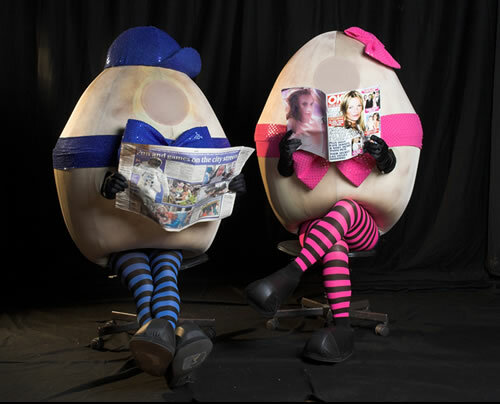 Our nutty chef has his work cut out trying to keep these cheeky eggs under control! 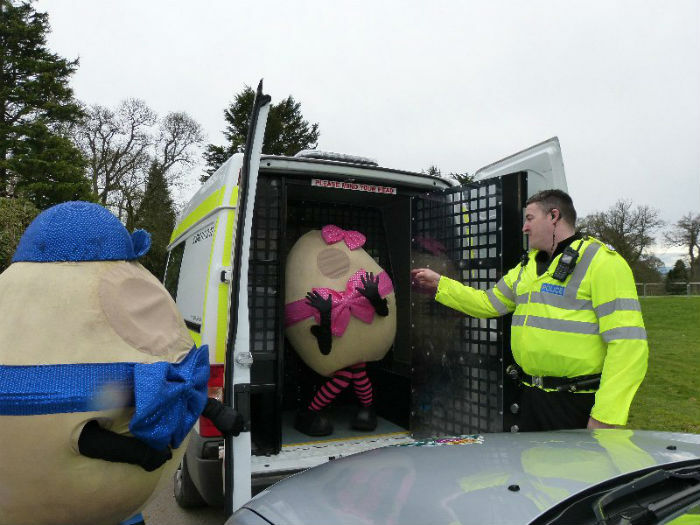 Mr and Mrs Egg run amok whilst spreading their joy of dancing to everyone they meet. 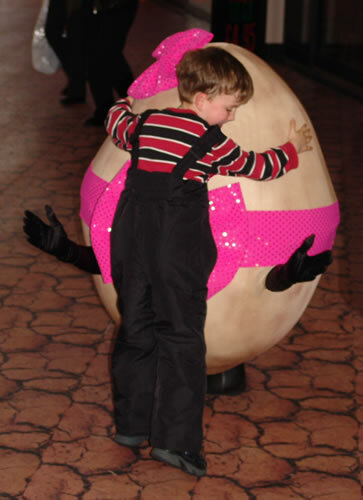 A comical, interactive and highly visual walkabout with mobile soundtrack and choreographed dance show (to You Make Me Feel Like Dancin’ by Leo Sayer) that never fails to raise a smile, resulting in people of all ages becoming involved in their infectious egg-centric dance. 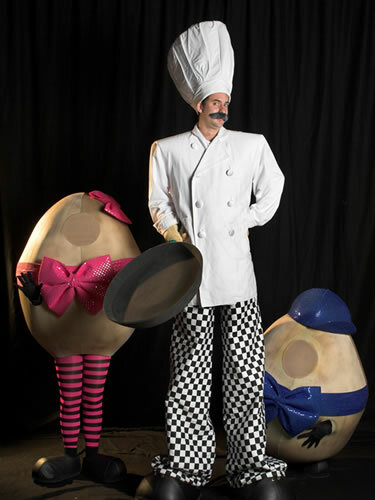 The chef can be on the ground or on stilts or 2 ground chefs can be booked without the eggs. Energetic Engineering are an award winning company with over 10 years experience. They have consistently provided quality performances to a wide range of audiences. 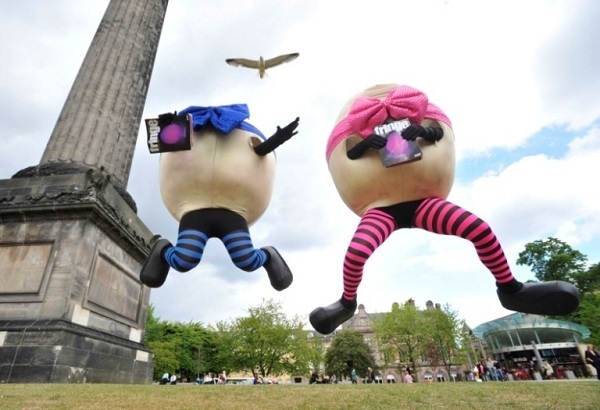 With their own quirky style they win the hearts of the audience and inevitably earn their laughter and applause. 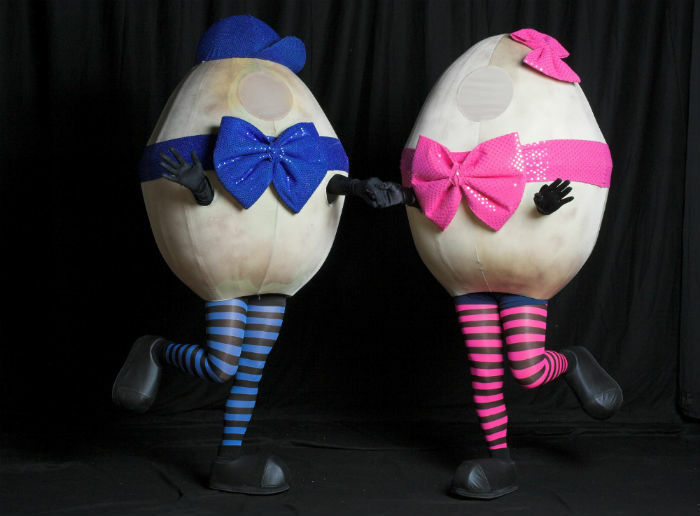 Two good eggs that fit the bill for any event, especially Easter or spring themed! 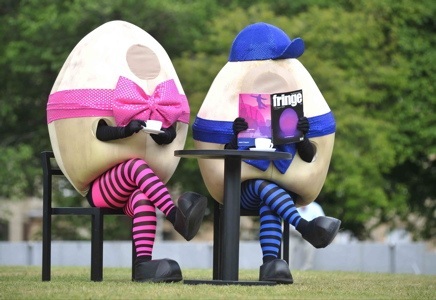 Mr & Mrs Egg and Chef are well travelled and have performed at numerous Easter events, fun days and food festivals around the country including Bristol, Hackney, Cardiff, Brighton, Bridgend, Inverness, as well as being the “face” for Edinburgh Fringe Festival 2008. The Eggs on Leggs always need a chef character as a minder.